Bowen Real Estate services the Mashpee area. The Upper Cape town of Mashpee, in Barnstable County, is distinguished by the continued influence of the federally recognized Mashpee Wampanoag Tribe. The tribe has both its national headquarters and its annual powwow in Mashpee. The heritage and history of Mashpee are closely aligned with the heritage, culture, and history of the Wampanoag Tribe. Mashpee has a population of just over 14,000 and includes the villages of Popponesset and New Seabury. A large number of Wampanoag people continue to live in Mashpee. Mashpee is known not only for its distinctive mix of Native and European cultures but also, like much of the rest of Cape Cod, as a destination for tourists. The summer of traffic of visitors and part-time residents drives the local economy, and many businesses here are seasonal. Mashpee’s five miles of beaches are a significant draw, as are the broad waterfronts on Popponesset Bay and Waquoit Bay. Many of Cape Cod’s largest freshwater ponds, ideal for fishing and boating, are in Mashpee. A great deal of land within Mashpee–about forty percent–is undeveloped and is earmarked to stay that way. The only high school chapter in the United States to have membership in the Society of Motion Picture and Television Engineers is from Mashpee High School, and is well-known and recognized in the film industry. The accepted story of the first Thanksgiving involves the tribe now known as the Mashpee Wampanoag, who welcomed and aided pilgrims in 1620. European colonists began settling Mashpee as early as 1658, while the native tribes have occupied the land for thousands of years. The Mashpee Wampanoags were among the first North American tribes to receive a land grant from the governing colonists when Richard Bourne appealed to the Massachusetts legislature on their behalf, recalling their kindness in 1620. The Old Indian Meeting House is the oldest Native American church on the East Coast and the oldest church of any kind on Cape Cod. It was built in 1684 by the Mashpee Wampanoag Tribe to be used as a place of Christian worship as European faiths and customs began to influence American tribes. A burial ground dating from the 1800s also sits on the seven acres occupied by the church. Conversion to Christianity expedited land deals between native tribes and European colonists and many of the lands reserved for the Christian Wampanoags in the 1600s remain in the tribe’s dominion today. The average home in Mashpee has a value of just under $400,000. Property values in Mashpee have not risen at the same rate as those of neighboring Falmouth and Bourne, but still increased a modest 3.5% in the past year, and, unlike those in Falmouth and Bourne, are expected to rise at a greater rate in the coming years. Mashpee is experiencing growth. Depending on a great deal of tourism and seasonal residents, Mashpee is among the most popular destinations on Cape Cod for dining, shopping, recreation, and entertainment. 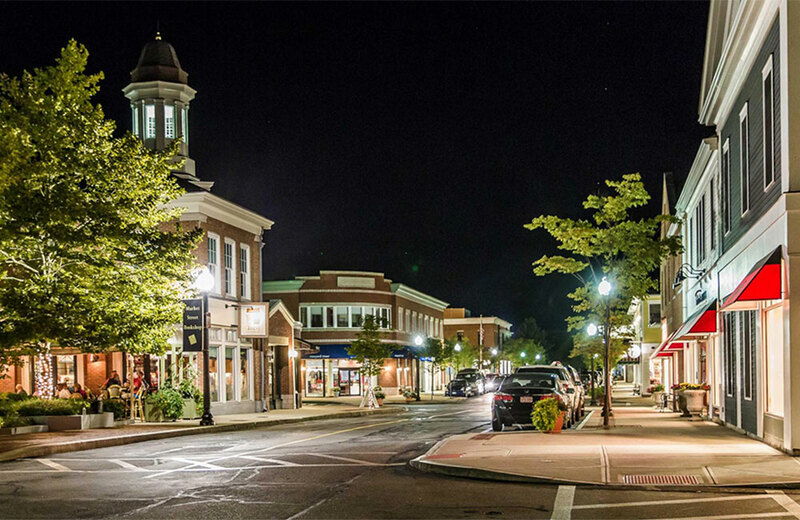 An array of storefronts, shops, restaurants, museums, boutiques, galleries, and entertainment venues, fitting every taste and budget, fill Mashpee’s many plazas and squares. The Mashpee Commons development projects have been a boon to a thriving downtown. The Commons recently added a bowling alley and a popular organic market. While Mashpee’s indoor entertainment opportunities are among the best on the Cape, where the town really shines is outdoors: it is blessed with the same compelling beauty as the rest of the Cape. Miles of beaches, both freshwater, and saltwater, are the jewel of Mashpee’s long, breathtaking waterfronts, and draw both residents and visitors in droves. The Mashpee village of New Seabury is home to the extremely popular Cape Cod Children’s Museum. The museum opened a quarter of a century ago in a repurposed church, draws more than 50,000 visitors per year. The Wampanoag Tribe has been holding its national Powwow in Mashpee for nearly a hundred years, during the first week of July. The three-day event features traditional dance and drumming, contests, as well as Wampanoag cuisine and goods. Golf is a popular activity in Mashpee, and there are more than twenty golf courses within the town limits or a fifteen-minute drive away. Among the most popular dining destinations is the French bistro Bleu; Mediterranean Trevi Cafe and Wine Bar; and Cooke’s Seafood. While each Cape Cod community, from Provincetown to Falmouth, offers something dynamic, as well as much of what is best-loved about the Cape, Mashpee may be closest to what visitors and potential residents think of when they think of Cape Cod: a bounty of beautiful beaches, unique shopping experiences, and fine dining. Add to that the uniquely diverse culture of Mashpee and the town distinguishes itself very well.